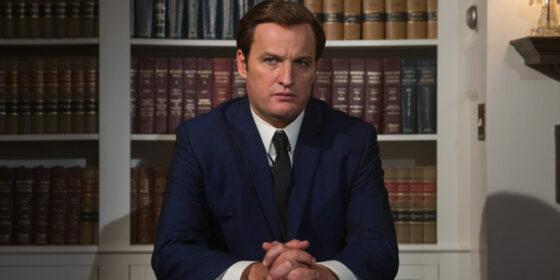 By far the least dramatically compelling of the family’s many tragedies (although it was referenced by Brian De Palma in Blow Out), the Chappaquiddick incident nonetheless touches upon powerful issues of political integrity, and Jason Clarke nicely captures Kennedy’s confusion as his desire to do the right thing collides with the pressures placed on him by the media and his family. The one other impressive turn in this otherwise slick and superfluous movie comes from Ed Helms as Teddy’s adoptive brother Joe Gargan, who interrupts the hue and cry of Kennedy’s other advisers to remind them that, far worse than a senator’s (and would-be Commander-in-Chief’s) damaged reputation, is the fact that an innocent person has died needlessly. One wishes that Chappaquiddick displayed such emotional awareness across the board.